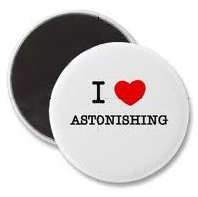 Astonishing? Unbelievable? Angels are real and they are as active today as they have ever been. And it’s just as surprising now as it was for the early church gathered in prayer for Peter’s rescue from Herod’s clutches. When an angel of the Lord released his chains and walked him out of prison he showed up at the house and they were so surprised they left him standing on the street while they argued with the servant girl, Rhoda, that it couldn’t be possible. But God’s miraculous rescue and the mighty works of his angels are possible. Pray believing that God, ‘…who is able to do immeasurably more than all we ask or imagine, according to his power that is at work within us,’ has the power to astonish you! Today take a step of faith and ask God for the impossible. Remove the limitations you’ve put on your prayers and know that He can do more than you can ask or imagine. And you don’t need to know how he’ll accomplish it, you only need to know that he can. Written by Tim Kurth and used with permission. Thank you, Ron. Bless you too!